Shawn Mckeough Jr., 23, a graduate of Westbrook High School, was serving in the Air Force in Little Rock, police say. 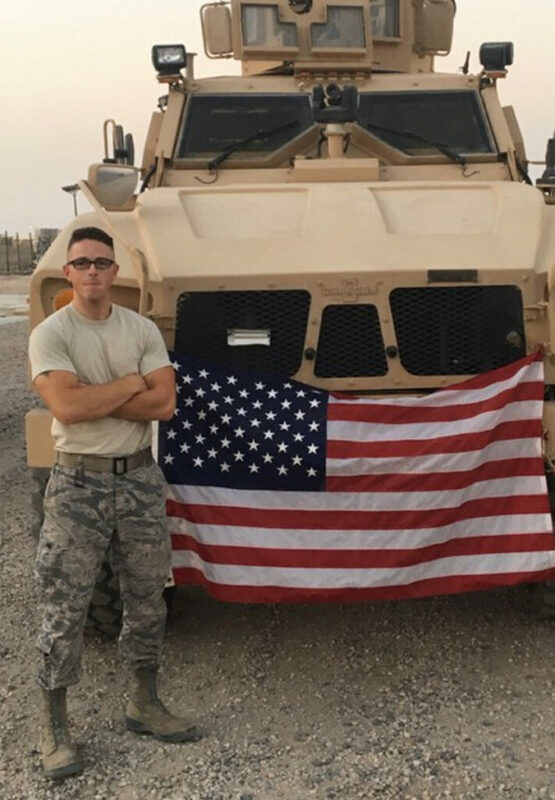 A Westbrook native serving in the Air Force was shot and killed Friday night in Arkansas while trying to stop an armed robbery at a convenience store, authorities said. North Little Rock police said Shawn Mckeough Jr. was killed while trying to stop a robbery at a Valero Big Red convenience store and gas station. The 23-year-old Mckeough, who graduated from Westbrook High School in 2014, was a senior airman with the Air Force. Police said he was an on active duty and stationed at the Little Rock Air Force Base. “As a result of the investigation, detectives have learned that two armed suspects entered the location in an attempt to rob the business. The victim in this incident attempted to stop the armed robbery and was fatally shot,” the police department said in a statement Sunday. The shooting occurred around 11:30 p.m. Friday. Mckeough was pronounced dead at the scene. He apparently was a customer at the time of the robbery. Sgt. Amy Cooper, spokesman for the North Little Rock Police Department, said in a telephone interview Sunday night that the two robbers – one of whom appears to be a man based on surveillance camera footage – remain at large. The police department is offering a $10,000 reward for information leading to their capture. Video footage from inside the store shows what appears to be two individuals entering the store with handguns drawn. One is wearing a black Nike hoodie with the drawstrings pulled tight around his face. He is wearing dark-colored Adidas pants. The second robber is wearing a black and white panda hat with a red cloth draped across the front. Only his or her eyes are visible. “Tragic losses such as this are just so heartbreaking,” Cooper was quoted as saying in an on-camera interview posted by NewsCenter Maine. “It’s just very overwhelmingly emotional, especially when you involve a member of our armed services, someone who has stepped up and made the decision to defend their nation and take on that role. And to deal with the tragic death of a member such as Shawn Mckeough has just been difficult,” Cooper said. Mckeough’s friends spoke out Sunday on Facebook, referring to him as a hero. “Breaks my heart to hear this news. Shawn Mckeough Jr., you were an amazing young man,” Cory Kilgore said in a post. Anyone with information about the robbery is urged to contact the North Little Rock Police Department at 501-680-8439.